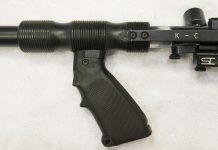 More well known for his K-C Trouble Free Oil, David Kermode, of Kermode Concepts, also produced K-C Delrin Pump handles for nelson paintguns around, c.1989. 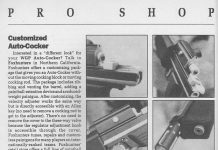 Joel Kaufman describes the issues that the early 1991 Autocockers had and the fixes that a lower pressure from the Palmer's Rock Regulator provided. 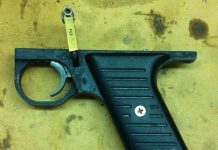 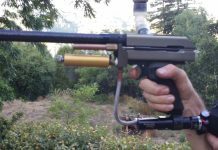 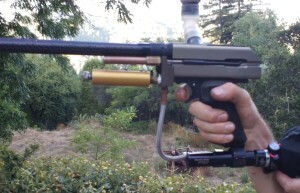 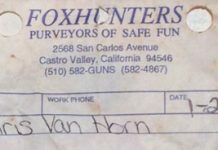 A Sniper 2 Auto Trigger kit sold by Foxhunters out of Castro Valley. 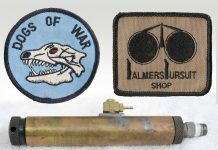 This kit has "Fox" stamped on the brass sleeve which made it easy to identify. 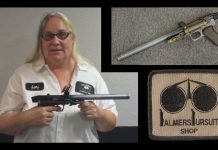 Just finished this video on the OTP / B&M Micro Mini Cocker. 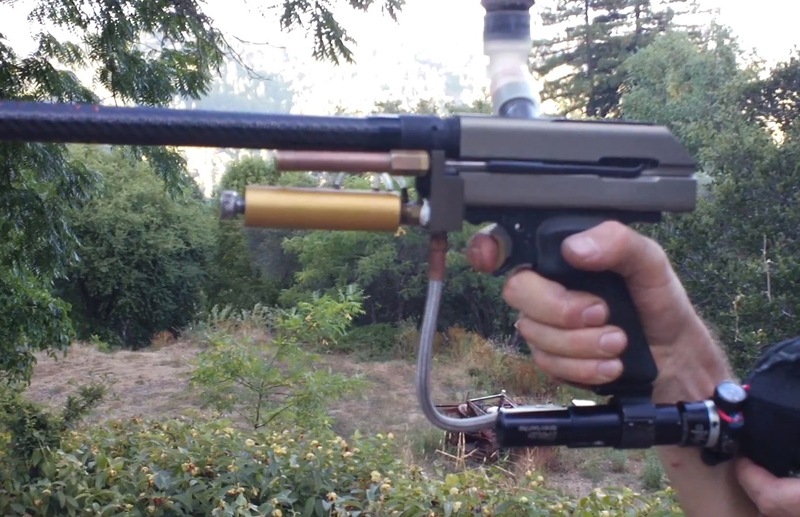 I recorded this back in early August but just edited it last night. 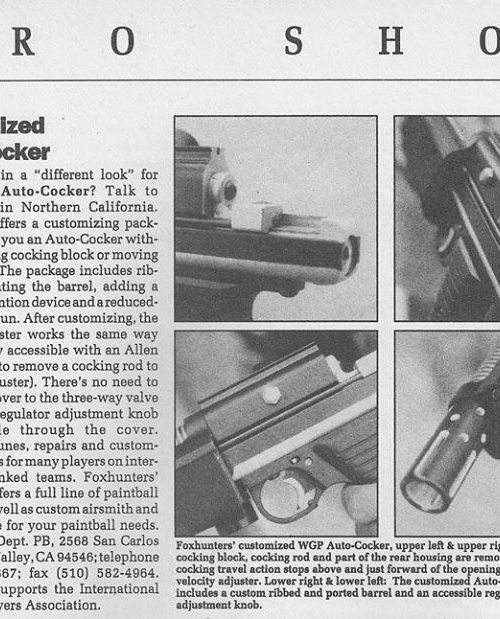 Here is a scan showing Fox Hunters half blocked cockers from the October 1992 issue of Paintball Magazine. 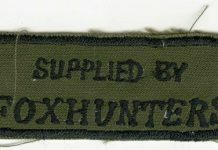 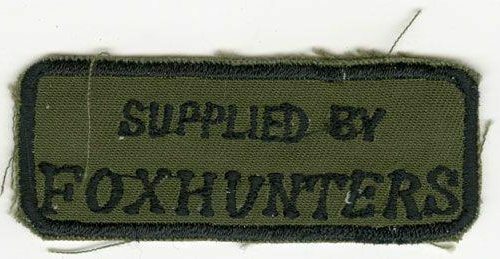 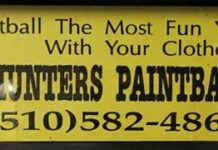 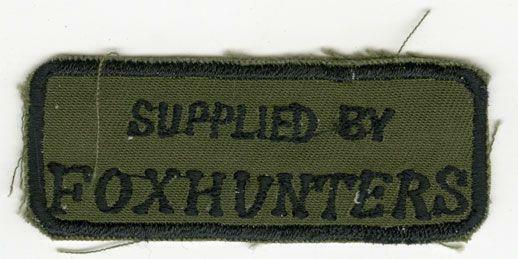 Foxhunters’ Paintball, Castro Valley, CA vintage patch, c.1989-1990? 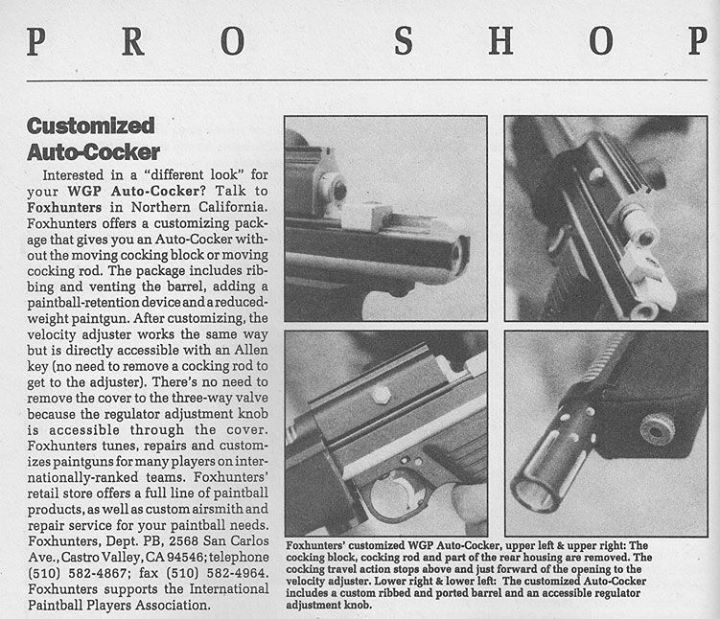 Foxhunters, out of Castro Valley, CA made early half blocks, the Double Pump and the Foxhunter Special.